Comparison - New Zealand to Australian Market? Comparison – New Zealand to Australian Market? As businesses look to new markets for their international expansion, heading further afield and to a territory such as Australiasia may not be your first consideration, but can offer a significant return on investment and unlock huge opportunities for business growth. As an entrepreneur or a growing business, entering a highly lucrative and middle-class market can further enable your growth, add new revenue streams to your bow, and reduce your reliance on one single economy. Indeed, as we’ve seen in China, the United States, and the United Kingdom, you cannot rest on your laurels and expect your home nation to deliver indefinitely. Over the past several decades, the Australian economy has enjoyed continuous levels of growth and has a relatively low unemployment rate, low public debt, and a strong and stable financial backbone. In recent times, demand for goods and services from territories such as China has continued to grow, and with the country’s services sector one of its key players. 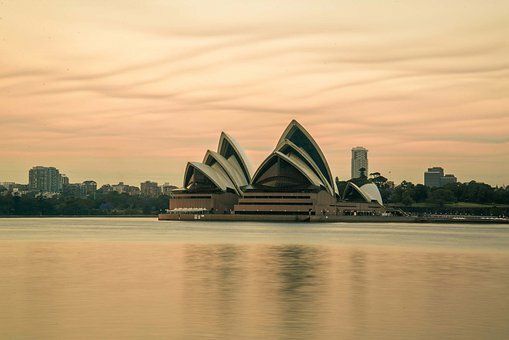 Unlike most countries, Australia was relatively unaffected by the 2008 global financial crisis and has remained a strong and stable player since. In recent years, the country has forged new trading relationships and exports natural resources, energy, and food to markets around the world is a member of the World Trade Organization, APEC, the G20, and has a number of bilateral free trade agreements with Malaysia, Singapore, Thailand, and the USA to name just a few. Trade between Australia and Latin America is on the up, and the country is often considered to be a gateway to Asian markets, which has encouraged foreign businesses to set up export subsidiaries to capitalize on the ease of trading with lucrative Asian markets. Neighbouring New Zealand, on the other hand, has transformed itself from an agrarian market into a free and stable economy with global ties. Whilst much smaller in size and wealth than Australia, New Zealand has forged a name for itself by building relationships and trading relationships with other nations and continues to market itself as a popular choice for foreign investment. The country’s economy is expected to grow slightly over 2% in 2019 and 2020, fueled by higher import prices in some foreign markets and domestic wage growth, which is helping to increase middle-class citizenship and give consumers more disposable income, fueling demand for products and services and having a knock-on effect in the wider markets. Australia has a GDP of US$1.323 trillion whilst New Zealand’s is US$205.9 billion. Australia has a GDP of US$1.323 trillion whilst New Zealand’s is US$205.9 billion. GDP per capita stands at US$53,799.94 and US$42,940.58 respectively. Both countries have strong and stable economies and were unaffected by the financial crisis, although as they both rely heavily on foreign investment and overseas trade for growth, they are more susceptible to political and economic uncertainty in foreign markets such as China, the United States, and Europe, particularly as we head into a US-China trade battle. Of course, neither country has all of its eggs in one basket – numerous free trade agreements help to balance imports and exports, ensuring stability and buoyancy, so that if one economy was to suffer and demand falls as a result, other economies would help to balance out trade and reduce casualties. Both countries have a strong political infrastructure, with regular local and cabinet elections to keep democracy alive, and governments on both sides of the Tasman Sea are pro-FDI. When incorporating a business in Australia or New Zealand, you will likely want to exploit the labor market to maximize your investment. Unemployment is relatively low in both countries, with Australia at 5.1% in Q3 2018, and New Zealand at 3.8%. The average Australian salary is US$64,022, compared with US$39,080 in New Zealand, an important consideration for businesses operating on tight margins wanting to reduce their capital overheads. When you consider the strong business, trading and immigration relationship between Australia and New Zealand (The Trans-Tasman Travel Arrangement allows for free movement of citizens, and The Taxation Act 2003 helps combat double taxation in both countries) it makes sense to operate in the cheaper of the two countries, and still enjoy the benefits of the other. Exports are the main driver of GDP growth for both Australia and New Zealand. Therefore, a trade business can offer significant revenues. The World Bank Group Doing Business 2019 report, which compares business regulation in 2019 economies, ranks New Zealand at number one. It’s the best country in the world to start a business, register property and apply for credit, the second best for protecting minority investors, and in the top ten for dealing with construction permits and paying taxes. Australia ranks in eighteenth place but is in the top ten for starting a business, dealing with construction permits, getting credit, and enforcing contracts. Both are sensible choices, but New Zealand’s advantageous tax policy low customs tariffs, free movement of capital and competitive ownership costs put it just ahead of its larger neighbor, dependent on your niche. Perhaps most important to compare is Australia and New Zealand’s trade. Exports from the two countries measured in at US$231,072 million and US$38,063.1 million respectively in 2017, representing 17.46% and 18.64% of their GDPs. Imports, on the other hand, reached US$228,582 million and US$40,114.6 million respectively, showing Australia with a trade surplus and New Zealand with a trade deficit. Of course, these figures do not mean either country struggles to trade internationally, but that they require significant imports to sustain their population and business growth. As a foreign national, importing goods to Australia or New Zealand can offer significant revenue potential, but assessing demand is essential. Finally, a brief touch on populations. Australia has a population of 24.6 million and New Zealand a much smaller 4.794 million people, but both have high immigrant populations (28.4% and 22.04%) which offers access to cheaper labor, emerging market opportunities and the option to apply for an international visa and become a permanent resident in either of the countries, particularly for entrepreneurs and investors planning to make Australia or New Zealand a key profit center and build a multi-national company in a short space of time. Whilst Biz Latin Hub was founded with the mission of providing back-office services to firms looking to expand into Latin America, we have since increased our reach and cover markets including Australia and New Zealand. Whether you’re looking for commercial representation, company incorporation or recruitment and hiring, you can depend on our local experts both in New Zealand and Australia to assist in your successful international expansion. To find out more about how we can help, reach out to the team on [email protected] today.